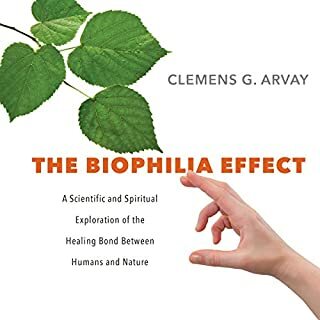 The audiobook edition of the best seller in Germany, The Biophilia Effect transforms our understanding of our interconnection with nature - and shows us how to engage the natural world wherever we live for greater health, inspiration, rejuvenation, and spiritual sustenance. The capacity to be alone - properly alone - is one of life's subtlest skills. 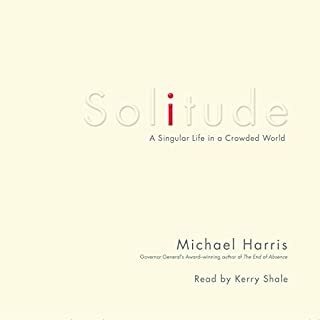 Real solitude is a contented and productive state that garners tangible rewards: It allows us to reflect and recharge, improving our relationships with ourselves and, paradoxically, with others. Today, the zeitgeist embraces sharing like never before. Fueled by our dependence on online and social media, we have created an ecosystem of obsessive distraction that dangerously undervalues solitude. For centuries, poets and philosophers extolled the benefits of a walk in the woods: Beethoven drew inspiration from rocks and trees; Wordsworth composed while tromping over the heath; Nikola Tesla conceived the electric motor while visiting a park. 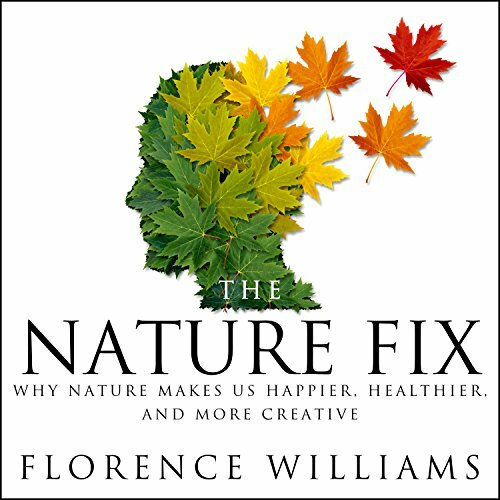 Intrigued by our storied renewal in the natural world, Florence Williams sets out to uncover the science behind nature's positive effects on the brain. 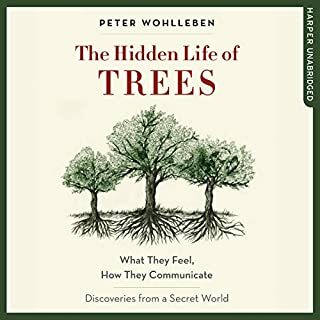 From forest trails in Korea to islands in Finland to groves of eucalyptus in California, Williams investigates the science at the confluence of environment, mood, health, and creativity. Delving into completely new research, she uncovers the powers of the natural world to improve health, promote reflection and innovation, and ultimately strengthen our relationships. As our modern lives shift dramatically indoors, these ideas - and the answers they yield - are more urgent than ever. The sheer breadth and depth of information presented in this well-organized work was impressive. The arguments, backed at times with a blizzard of statistics, plowed through various scientific and academic circles to present an argument that intuitively seems correct: we evolved outdoors and our increasingly indoor, screen-obsessed culture is wreaking an awful toll on us, and particularly on our children. Fair enough. 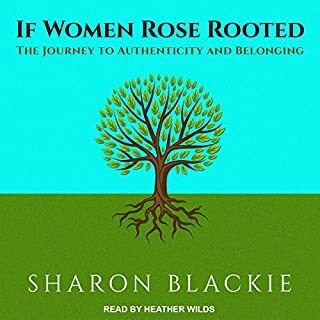 But the author, abetted by a way too chirpy, sing-song narrator, struggled to cover her lack of science street cred with cringeworthy puns and swipes clothed in condescending asides at more fringe views of our relation with nature. The result leaves the reader unsure of what to take seriously, what is a joke or what is between the two? The narrator's forced joviality and unnecessary excursions up and down the sonic scale seriously detracted from the substance of the work. 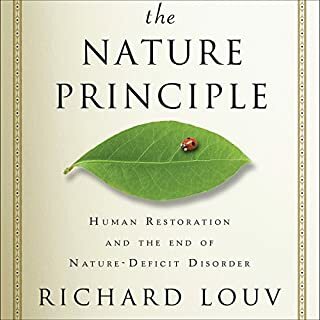 I needed to take frequent breaks from listening, during which I wondered if buying the print version of Nature Fix would not have been a better choice. Bottom line: a good work and well worth the time to read but perhaps not to listen to. I listened to this book with great interest in some important information. 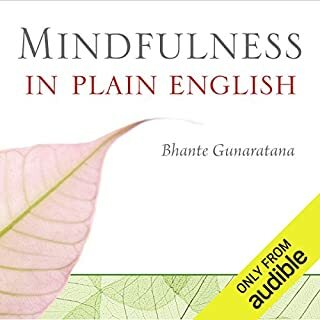 However, eventually I was driven to purchase a hard copy book because the reading on the audio book was probably the most over-dramatized and infantile reading of any book I have ever bought through audible. It was annoyingly distracting. So, I recommend the hard cover book but suggest you bypass the audio book. What made the experience of listening to The Nature Fix the most enjoyable? This book hit many nerves for me. I've always felt better being outside. I've always loved to stand beneath trees, to linger at the edge of the sea, to touch the cool water of streams, to walk upon soft leaves instead of pavement. It has always calmed me down, perked me up, made my worries and pressures feel like nothing. After reading The Nature Fix, I know why. There is a vast amount of scientific study showing that all of these things reduce our stress hormones and blood pressure, elevate our internal disease-defeating processes, stimulate the body to fight off toxins, excite the happy centers of the brain and subdue the negative reflexes in the brain. Did you know that many trees emit immune responses into the air when attacked by insects and other animals? Humans have adapted over millions of years to benefit from these 'phytoncydes,' too. We evolved in nature, amid the trees, fresh air, soil and sea -- these elements promoted our well being. Have you ever thought about why you love the smell of fresh Christmas trees? -- conifers produce oils that are highly beneficial to breathe in. Penicillin is a miracle drug, right? -- but there is a vaster mix of fungi in our environment that our bodies and brains respond beautifully to. What's the most beautiful place you've ever been? Chances are, it involves sunsets, clear water or mountains, and that is because these kinds of settings are literally making us healthy. Far more so than urban environments -- though urban parks and 'daylighted' streams do wonders for our health too. Is your screensaver a photo of a landscape or of your children smiling in your yard or at the beach? There is strong medical and biochemical evidence that being outdoors in nature makes us stronger, healthier, happier and more creative, from average adults, to PTSD-impacted military veterans to children with developmental issues, and certainly all children, from the youngest age to the oldest among us. Wonderful book. I'm sure it will help you lead a happier and healthier life! I freely admit that I only purchased this because it was a Daily Deal, but I'm really glad I did. Funnily enough, I'd just finished reading The Smartest Kids in the World... by Amanda Ripley, and this book is an almost perfect companion to. In fact, the author focuses on some of the same issues concerning education, and ever references Ripley's book. I mention this because the secondary and tertiary messages in The Nature Fix... (education and child development) were actually far more compelling to me than the central message about the general health benefits of being in nature. 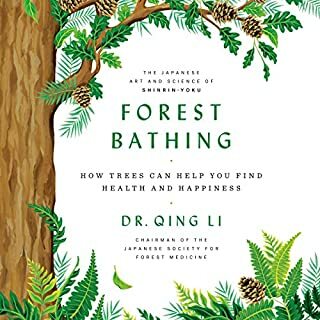 I also found the cultural anecdotes (e.g., Japanese forest bathing) interesting. 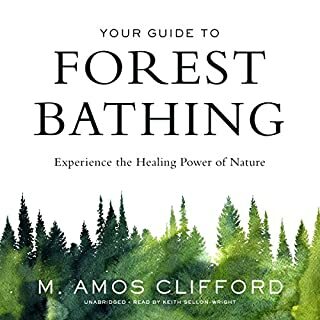 As far as recommending this book, I'd say that if you're looking for a book that validates your belief in the healing effects of being in nature (so to speak), then you'll get what you want. 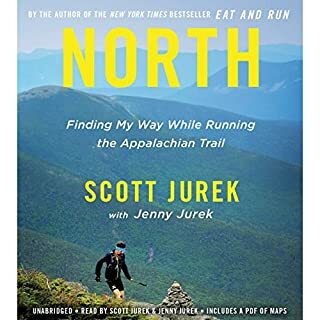 If you're otherwise looking for a book that you'll find intellectually stimulating and good food for thought, then you'll likely won't be disappointed. 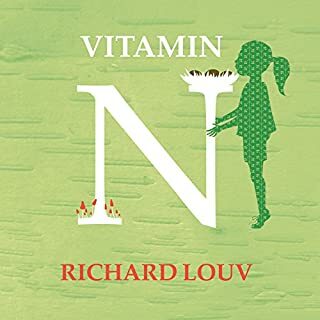 The best book I have read on the diverse elements that make Nature our healer of choice. The research and data are worth the purchase and the many reasons why you should incorporate more time in Nature or garden or forest or ocean is convincing to say the least. loved it! enjoyed wide lens that revealed how nature breeds health and wellbeing worldwide. insightful and probing. 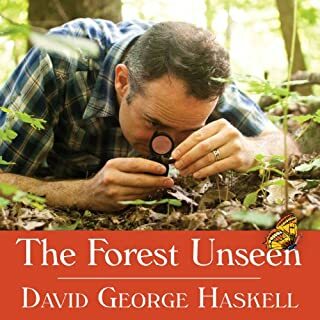 Interweaves the author's personal experiences of nature with current research on the impact of spending time in nature. Scholarly enough to use as a reference source for a college assignment while still entertaining the listener. Unless you are a young child you will be unable to listen to this narration. I had to buy the book and return this. 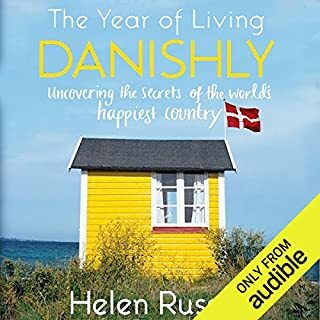 I like the book, which I haven't finished yet but I had to warn others that this narrator is very perky. I'd listen to the sample first (which I usually do but did not do in this case). Irritating and distracting. She should read books to very young over-protected children. That or just tone it back a bit. Sorry. It was that bad. I think the idea of this book could have been summarized in just a couple chapters. I took away some good messages, still. I agree with other reviewers that the narrator is annoying. I usually am not as picky about it, but this one really got to me in how forced and artificial she sounded.